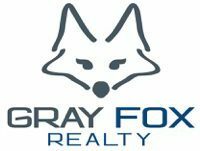 Gray Fox Realty – Full Service Results at a Flat Fee Brokerage – $995 lists your house – Flat Fee – Full Service REALTOR for Williamson County, TN. Gray Fox clients have saved over $1Million in commissions versus a 6% listing agreement**. Flat Fee – Full Service REALTOR for Williamson County, TN. Gray Fox clients have saved over $1Million in commissions versus a 6% listing agreement**. Gray Fox Realty is a full-service flat-fee real estate brand that is RESOURCEFUL. Utilizing highly streamlined and efficient systems allows Gray Fox to offer premium marketing, years of negotiating experience, diligent transaction coordination all at a deep savings to seller clients. We want you to be able to keep your equity or if you desire, reduce the price to be more competitive in the marketplace. Gray Fox Realty Flat Fee Service with Full Service Results. Gray Fox didn’t forget about buyers. The same transaction processes are applied to get buyers into their dream home. Gray Fox is ADAPTABLE and encourages constant process evaluation and improvement. Market change is inevitable in the real estate market and new marketing tools enter the real estate vertical so Gray Fox is ready. * $995 Flat Listing Fee for homes under 4000 sqft. Buyer Broker Commission plus a $395 administrative fee applies when home closes. $1495 for homes 4000 sqft and larger. ** Commission are negotiable and 6% is used only for demonstration purposes.